You can now automatically submit a request to change your SureFiles™ password. Your password is not changed automatically. We will send you an email when your password has been successfully changed. 1. To change your password, connect to at least one of your shared drives. 2. Then click this link -> https://10.0.14.97/password. 3. 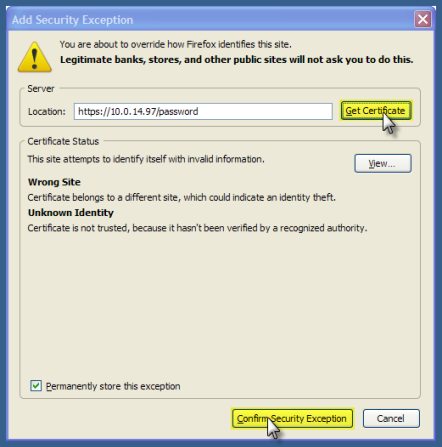 You will get an error message from your browser about the security certificate. 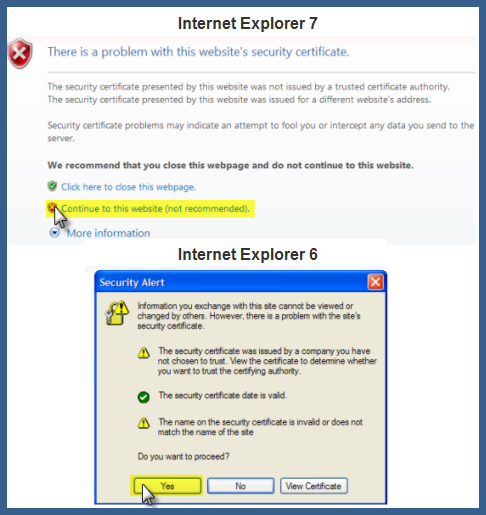 In Internet Explorer 7 click Continue to this website. In Internet Explorer 6 click Yes you want to proceed. In FireFox click Or you can add an exception. 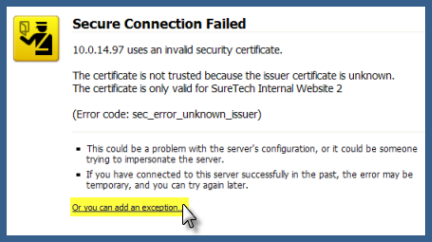 After the new window pops up, click Get Certificate, then Confirm Security Exception. 4. You may be asked to log in to the webpage. 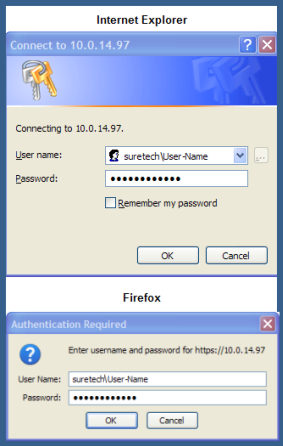 Use your SureFiles™ user name and password. For your SureFiles™ user name include the word suretech with a backslash (\). So in the log in your user name should look like suretech\yourusername. 5. You can then enter your new password twice (to verify it) and your email address so we can contact you when your password has been successfully changed. Remember, your password is not changed instantly. We will send you an email when your password has been changed.